Media Size: 2.50" x 4.50"
Dated weekly appointment book features two-page-per-week spreads with a Monday-through-Saturday format. 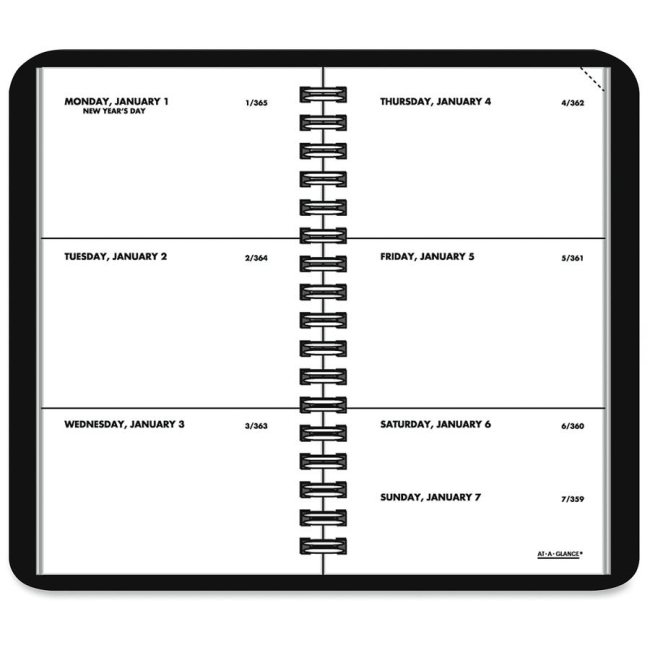 Planning pages range 12 months from January to December. Pages are printed in black ink and have perforated corners. Each spread offers ample unruled writing spaces each weekday. Saturday and Sunday share a space the size of a weekday entry. Wirebound appointment book has a simulated leather cover. Nonrefillable.